42-40782 CHATTANOOGA CHOO CHOO as it appeared on August 1, 1943. 42-63963 seen in the Winter of 1943-44. 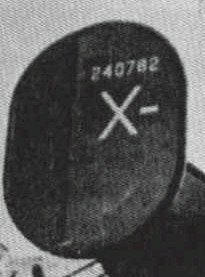 While this aircraft was a 567th BS aircraft, it is displaying X+ instead of the typical X-. 42-95063 seen in an unusual white C on black circle configuration. 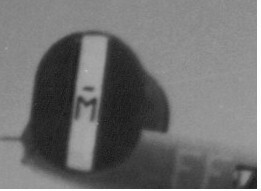 This was taken in April 1944 before the new black-white-black markings were ordered and as the first unpainted aircraft began arriving in England. 42-95077 GINNY GAL displaying the late tail markings, and the EE 565th BS squadron codes on the rear fuselage. 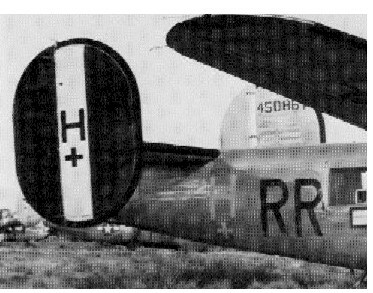 44-50867 displaying the late tail markings, and the RR 566th BS squadron codes on the rear fuselage. 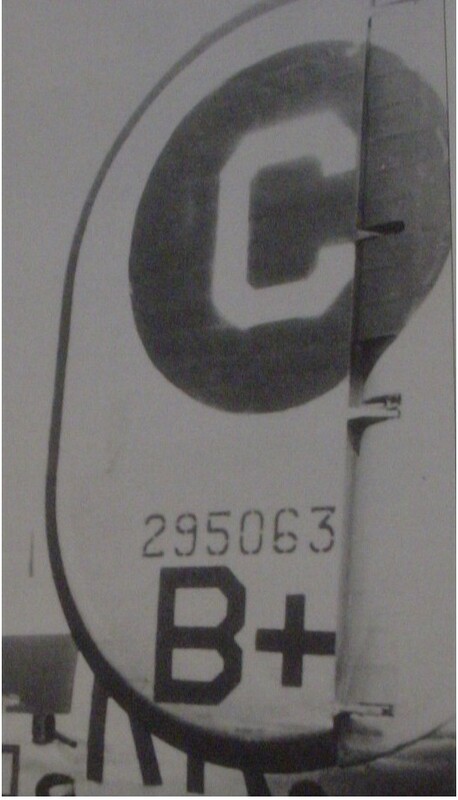 42-50290 MARTHA R displaying the late tail markings, and the EE 565th BS squadron codes on the rear fuselage.